As a youth, I traveled to Goderich Ontario Canada to attend church camps, as well, a truck from my father’s business drove to Goderich for grain twice each day. Sometimes I rode along to see the country side and the clear blue lake. 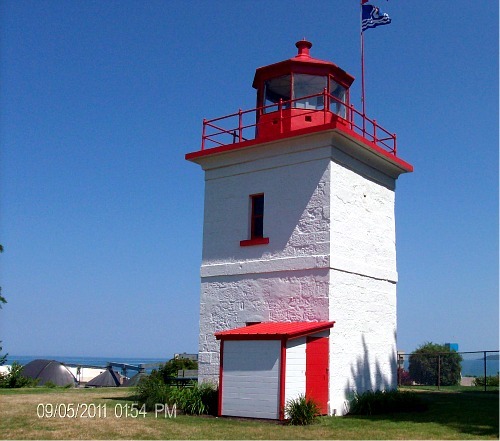 More recently, when we were planning retirement we considered Goderich because of the close proximity to services, a quiet slow paced small town and the amazing lake with breath taking sunsets and the active working harbour. Boat watching! Now after living in Goderich Ontario Canada for 20 years I can add more bonuses. The history is alive, just waiting to be discovered at every turn. One of the first history lessons begins even before reaching Goderich. As you travel along highway number 8, the old Huron Road, passing through the towns & hamlets (Petersberg, Fryfogel, Stratford, Mitchell, Seaforth, Egmondville and Clinton) to Goderich, take note of the old inns spaced along the way. These Inns dotted the old Huron Road offering lodging for travelers as well as coach stops. Just image riding the old corduroy roads from town to town. As you continue from hwy 8 along Elgin Ave West in Goderich you reach the terminus of the Huron Road, a Heritage Highway opened in 1828. Wm ‘Tiger’ Dunlop traveled this road in 1828-29 as he was developing the Huron Tract for the Canada Company. The Canada Company had 1.1 million acres of rich land waiting for settlers. Not far to the north of the historic Huron Road stands the Goderich Lighthouse built in 1847 by the Scottish stone mason, Adam McVicar. Well placed plaques give details of the light house & many more historic sites in Goderich Ontario Canada. 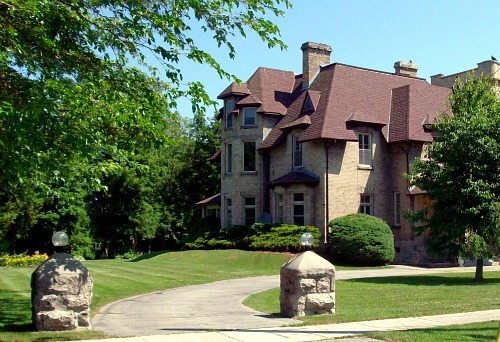 The Park House, built for Thomas Mercer Jones and his new bride is one of the oldest buildings in Goderich. Pause for a leisurely meal on the Park House patio as you take in the commanding view of the historic Goderich Harbour. Down the bluff to lakeside the flat area adjacent to the harbour was once known as ‘goosey green’. This once bustling area had a community of homes, hotels and businesses. The area has changes over the years. Take your time walking the boardwalk or pier and relax at the beach. More history of Goderich Ontario Canada is detailed at the 60 year old Huron County Museum on North Street. This summer the Sallow’s Gallery features the Historic Goderich Harbour in photos & paintings. Sallows Gallery is located in the Goderich Library just off the ‘Square’ on Montreal Street. On the north Harbour Road the CPR bridge now called the Menesetung Bridge crosses the Maitland River & continues on the rail line forming a pleasant walking, hiking & biking trail. The mention of the Chippewa as the pre contact aboriginal peoples who summered on the riverbanks is noted on the information sign about the 1907 rail bridge. 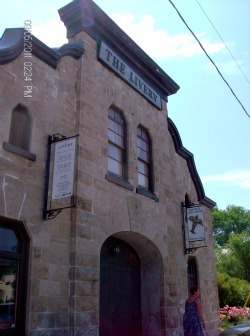 In the present day, the community of Goderich has a rich diversity of talent in arts, crafts & music. It seems almost everyone plays a musical instrument, or sings with a band. Free Sunday night concerts are held during the summer in the Lions Park behind the Park House. Each Friday eve until Labour Day weekend, the Goderich Celtic Blue Pipe Band pipes down the sun on the lake front. In early August the annual Celtic Roots College & Festival entertain several thousands of guests. The week of festivities brings out the celt in all with stories, celtic language, music, crafts, dance & food. On the square, local artists are on hand to take you through the Co-op Art Gallery. The variety in design, colour, & art forms are a visually stimulating treat. A handy flier outlining 4 Heritage Walking Tours in the Port of Goderich provides construction dates, historic details and architectural explanations of many homes & buildings within walking of the downtown square. Finally, the present day Trains, Planes and Cargo Ships capture the imagination. Ships known as ‘salties’ take on loads of grain for far away ports. Large lake freighters dock for salt. Watching boats in the harbour can easily fill a leisurely afternoon. Yes, my bike is my favourite form of transportation along the tree-lined boulevards allowing easy access to shopping at the Saturday morning market, errands, boat watching and library visits. Goderich Ontario Canada competes in the annual 'Communities in Bloom' and active volunteers are proud of their gardens and parks. 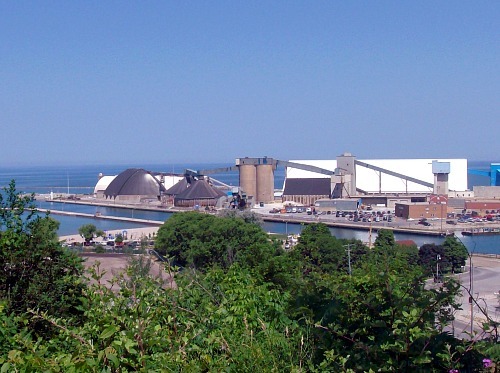 There is more about Goderich but just... Come yourself & enjoy the prettiest town in Canada. Return HOME from Goderich Ontario Canada.